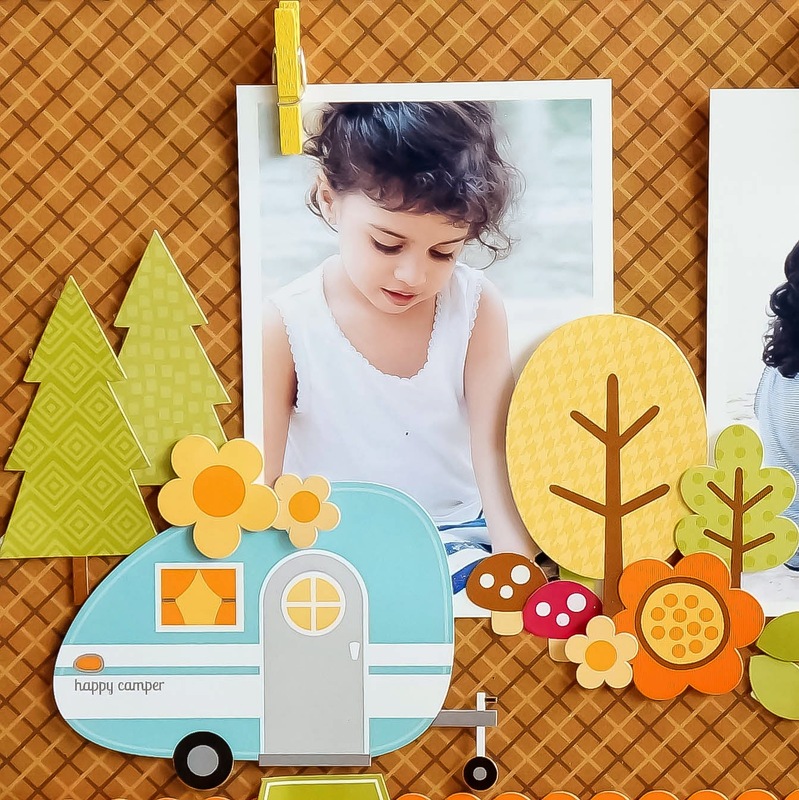 Today I'm sharing with you lovely crafters on how the Happy Camper & Friendly Forest lines go so well together. 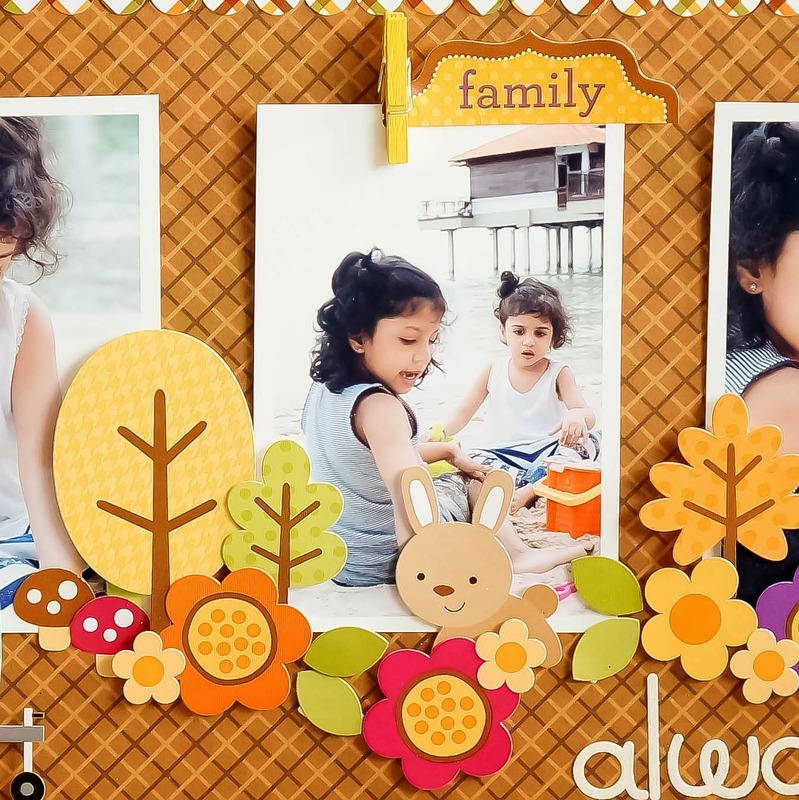 As the theme for the projects revolve around being thankful, I'd like to share with you'll a layout I created featuring the two blessings in my life, my baby girls :) I am thankful for having them in life. They bring immense joy and never fail to lift my spirits on a trying day. Here's my layout featuring them.. Such a sweet layout Sharm!! Kathy took the words right out of my mouth! ;) Love how you used the clips for each photo and your border of stickers. Fabulous layout, love the gorgeous papers and embellies! The paper clipped pictures are so precious! Awesome layout! I love all the elements on this page. 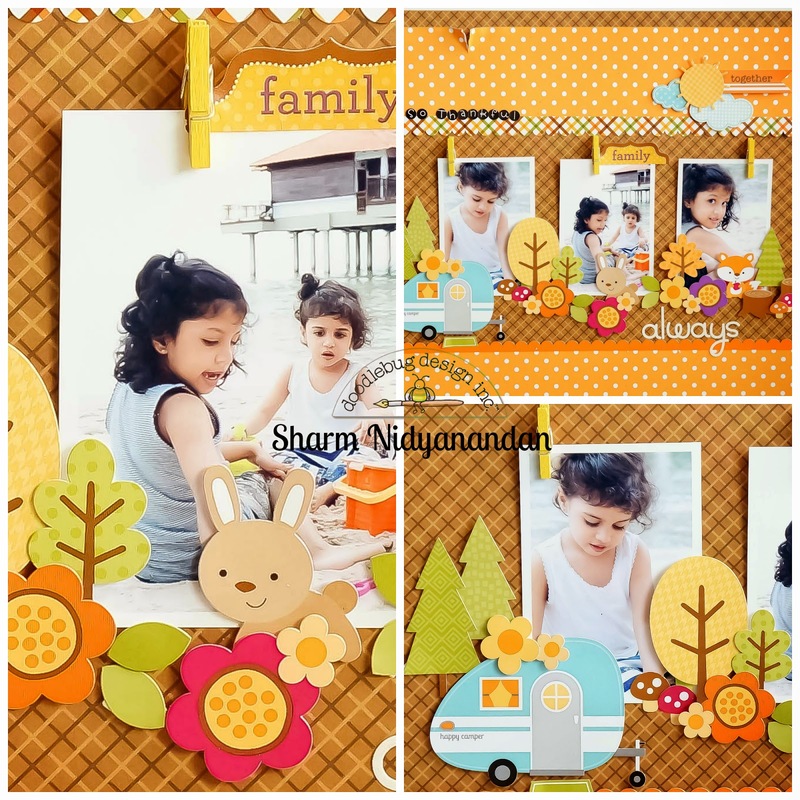 SUPER CUTE photos and SWEET layout Sharm!!! YOU LO is fabulous OMG girl you sure came up with so many clever and creative ways to use everything. You pics are as precious and adorable as can be. I just so loved seeing what you created!! YOU are a VERY talented scrapper!! YOU so ROCK!! 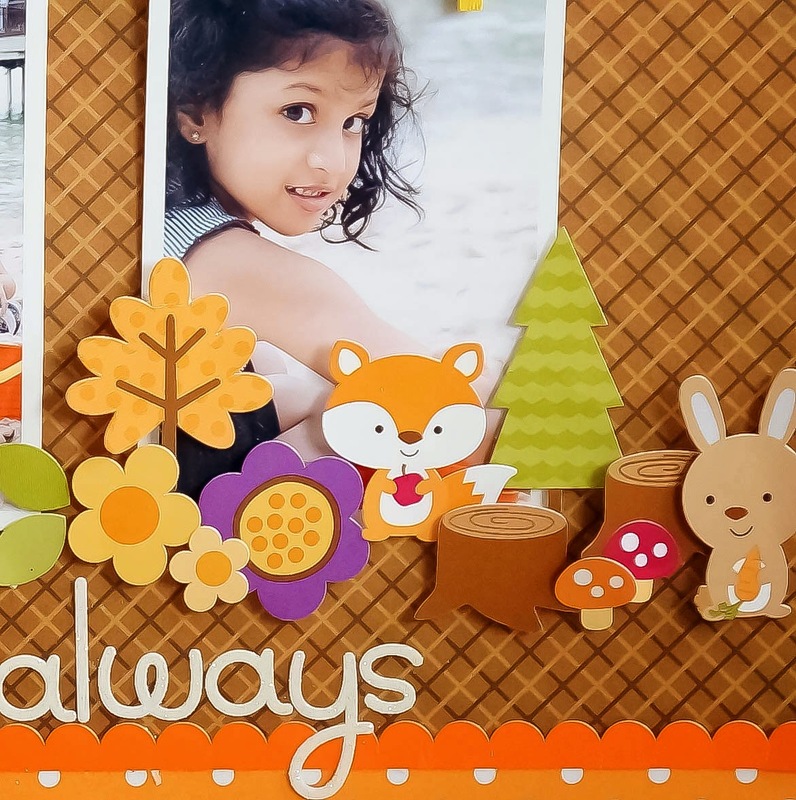 This layout uses Doodlebug products in the very best ways possible!! Love the design and the colors are awesome!! Sharm has a great sense for layering and placement!! !